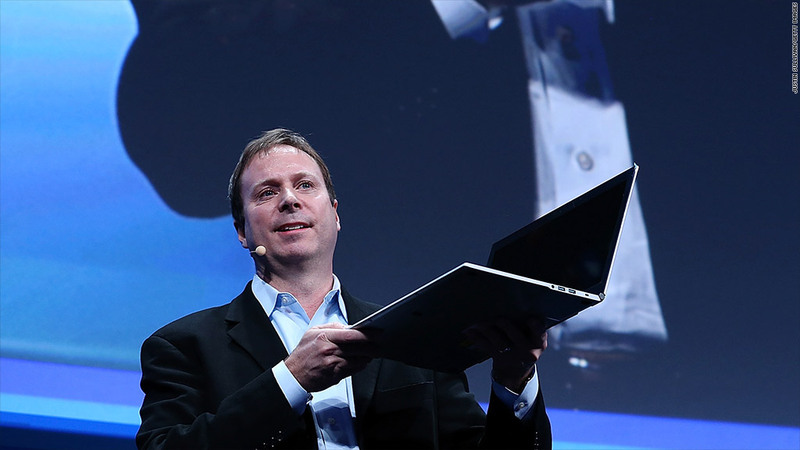 Intel executive Kirk Skaugen showed off the company's new ultrabook specs at the Consumer Electronics Show. That blurs the line even further between a notebook PC and a tablet. It's a move Microsoft (MSFT) is also backing: Its recently released Windows 8 operating system works on both desktop and mobile devices, but it operates much more smoothly with a touchscreen. Intel (INTC), which makes the processors most laptop makers use to power their devices, has been trying to steer the industry toward lighter, sleeker, faster machines that take full advantage of its latest chip advances. It calls those machines "ultrabooks," a term it created and gets to write the rulebook for.